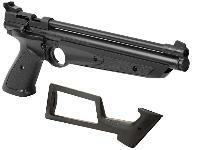 The same great air pistol America has revered since the 1322 was originally introduced -- but with an updated design. 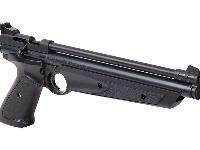 The grips and pump lever have changed, but Crosman kept the tried and true parts of the original gun. 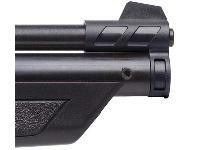 That includes the unique rear sight. It's not only fully adjustable, but you can quickly and easily switch between a notch and a peep sight by simply turning the sight 180 degrees. 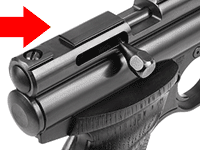 A screw secures the rear sight to the configuration you select. You can also mount optics if you buy the optional 459MT intermount. Upgrade your pistol with the steel breech option, and you'll have 3/8" dovetails for mounting optics. The upgrade removes your rear sight, but there's a kit version that includes a 2-dot rear sight that fits on the 3/8" dovetails. 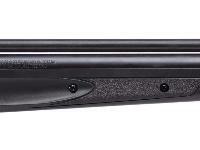 Your P1322 American Classic pistol is suitable for plinking, paper targets and tin cans. Things I liked: Although the rear sight should be better for such a fine gun I still give this product 5 stars for the fun factor. 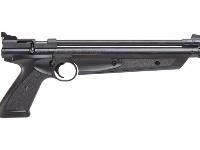 I have owned the crosman 1377 for about 8 years and it's still going strong so I know I will get more than my money's worth out of my 1322. 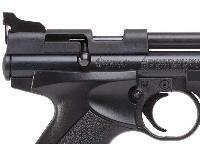 Things I would have changed: Should have a much better and less delicate rear sight. I slapped a 4x15 scope on it and it is a tac driver. Shoots just fine putting multiple rounds in the same hole.Fun Fun Fun !!! What others should know: You can upgrade parts on this gun til your hearts content. Extremely enjoyable time with this product ! Things I liked: Very good piece of hardware for price. I needed this to be something of a suped up sidearm and it performs extremely well. The stock GREATLY affects shooting, Making it easier to pump as well as increase comfort and accuracy. Power is very good and will get the job done at close to medium range. 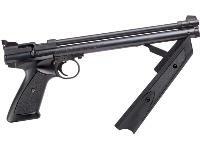 What others should know: I heavily suggest you get this model, don't bother with the .177 variant. What is a good solid scope for this gun? 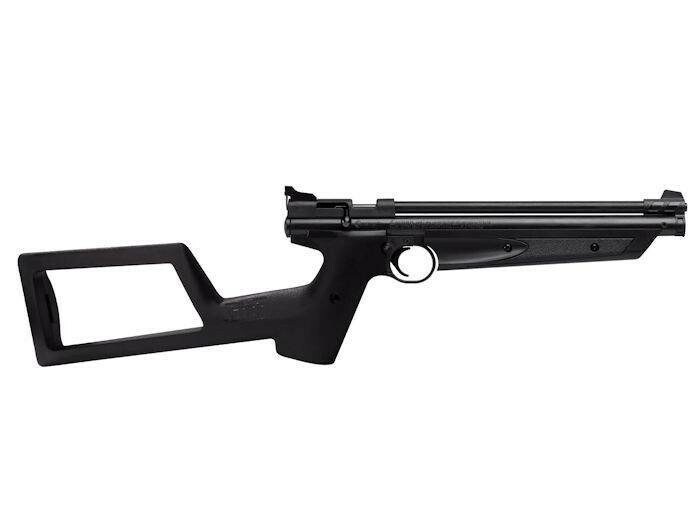 Does it come with the stock grips ?